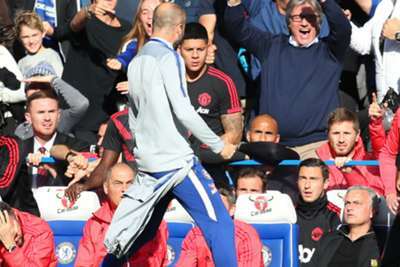 Marco Ianni provided one of the biggest talking points from Chelsea's 2-2 draw with Manchester United when the second assistant coach's exuberant touchline celebrations drew Jose Mourinho's ire. Ex-Chelsea boss Mourinho was enraged by Ianni after he celebrated wildly in front of him following Ross Barkley's late equaliser at Stamford Bridge. The Portuguese later revealed Ianni had apologised to him, and that he now considered the matter "over", but it brought one of Maurizio Sarri's backroom staff into the spotlight. He spent two years on the staff of Roberto Cappellacci in his native Italy - first with Cosenza and then Campobasso - before joining Sarri at Napoli, where Ianni worked as the club's technical assistant. In a recent interview, Ianni revealed he had "a good professional and human relationship" with Sarri. He will hope that ensures he avoids serious punishment after the Chelsea coach stressed he had to be "very hard" on Ianni for the incident with Mourinho.